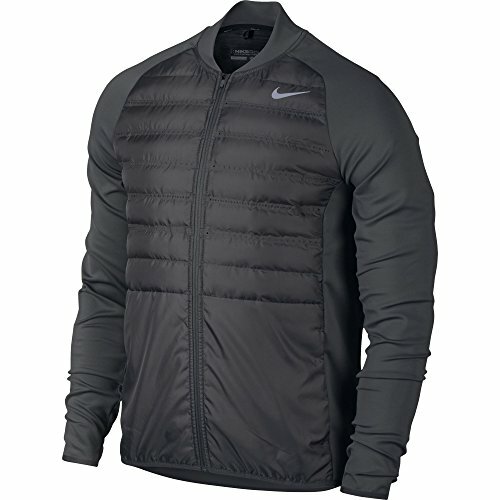 Designed to provide superior lightweight, breathable warmth and range of motion on the course, the Nike Aeroloft Hyperadapt Men's Golf Jacket features laser-cut insulated panels and a unique vented armhole design, all in a stretchy profile. Fabric: Body/lining/fill: 100% polyester. Underlay/lower back lining: 85% polyester/15% spandex.